Attire yourself with this highly stylish outfit as it is a perfect choice for your cozy winter apparels. This Womens Pink Jacket is a unique craftsmanship that gives you an enchanted personified presence and makes your voguish style statement known to others with its fabulous fabrication. It is made with quality blend material and delicately embroidered with inner viscose lining to make outfit warm and durable. 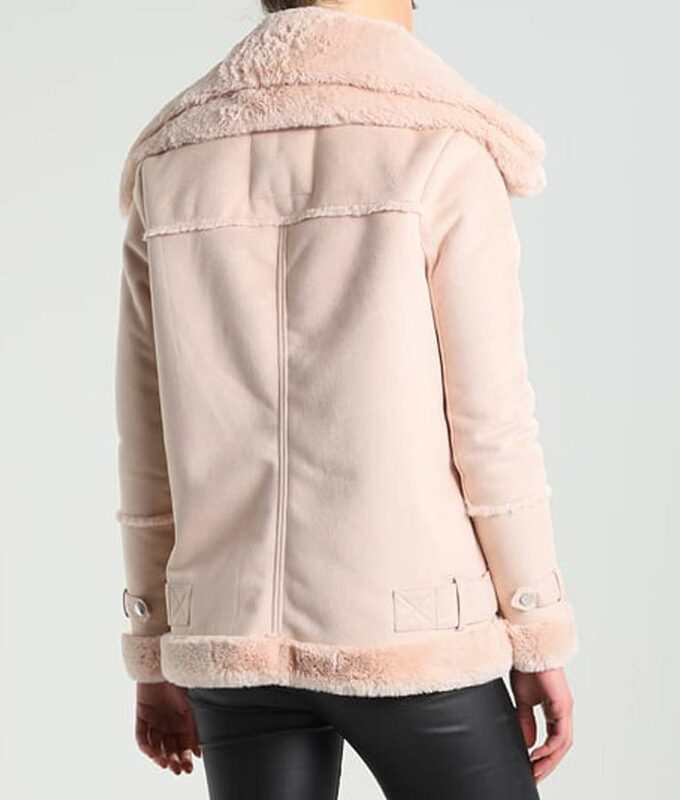 The artistic shearling collar of this Leather Shearling Womens Pink Jacket and bold full zipper front corsage gives it an indifferent resounding look, while the innovative shearling padded cuffs on full length sleeves also depicts its high class craftsmanship.